Bulk treatments for green lake water, string algae and silt on the lake bed. Test kits for oxygen and vital parameters such as ammonia and pH. OASE Living Water DyoFix Lake and Pond Dyes Otterbine Barebo Inc Kasco Marine Inc. In addition to sufficient aeration and water circulation, biological lake water treatments can effectively reduce the majority of water quality issues in a natural, environmentally friendly way. Introducing 'friendly' aerobic bacteria in sufficient quantities will help to digest nutrient rich biomass and thus reduce the effective breeding of single celled algae ('green water') and filamentous algae (commonly named 'blanket weed' or 'string algae'). 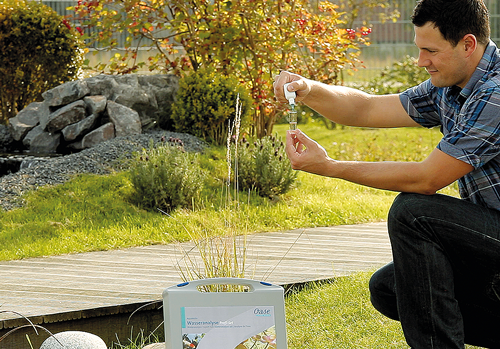 Biological water treatments can be used to combat a whole host of common water quality issues. 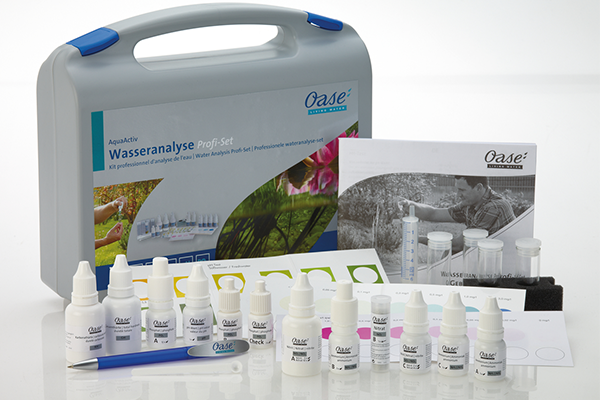 It is always important to firstly test the lake or pond water parameters prior to introducing a water treatment and Water Garden Ltd have a practical selection of test kits for the major test parameters in lakes and ponds. 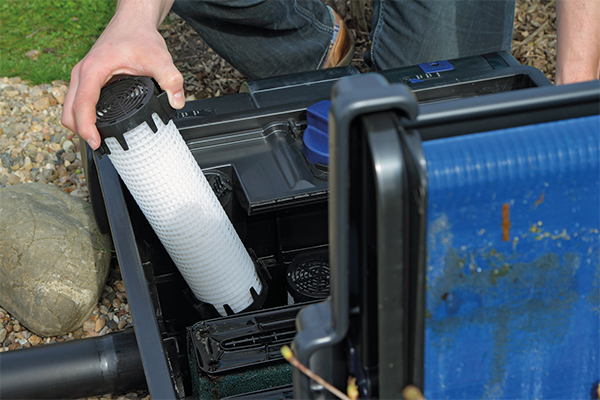 Biological algae treatments such as Viresco Aqua can be used alongside a lake aerator to eliminate and prevent regrowth of various common lake algae types. Biological water treatments are composed of only naturally occurring ingredients, such as aerobic strains of suppressing and digesting bacteria, so with no chemical content, there are no negative environmental implications when treating the water. Silt digesters such as SediFree are dense, gritty and granular treatments that will sink to the lakebed amongst the silted areas and begin to digest the organic matter. Biological silt treatments consist primarily of bacteria cultures that live and feed on organic waste, replicating and repopulating exponentially in the right conditions for prolonged effectiveness. Treatments such as PhosLess bind unwanted phosphates in the water. Phosphates are a key food source for algae and are present naturally, usually entering the water off the land and during heavy rainfall. Excess Phosphates can lead to algae blooms and green water. PhosLess binds this excess nutrient, starving algae of this fuel. Phosphate can be detected and measured with a good water testing kit. Lake Dye can be used to prevent light penetration beyond the water surface. Blocking sunlight penetration stops photosynthesis and prevents invasive weeds and algae from being able to grow. Lake Dyes can also be used for aesthetic purposes, to alter the look of a water body, or to colour the water to protect fish stocks from predatory birds such as Herons and Cormorants by making the fish less visible to the predator in the tinted water. Lake Dye is environmentally safe and does not affect wildlife.